“My father always used to say that when you die, if you’ve got five real friends, then you’ve had a great life,” Lee Iacocca once said. Well, my dad was one of my five, until the day he died a few years ago. Each Father’s Day that passes, I’m grateful he was in my life. Growing up in a middle class New Jersey suburb, my father, Larry, not only was a good provider, he also did the lion’s share of parenting while my mother was busy going to college, getting a doctorate and then working full time as a college professor. For 18 years, my father stepped up and not only supported my mother as she pursued her education and her career, but he also took over the bulk of parental responsibilities while my mother was studying or working. He was a good husband and liberated man, long before it became the norm for modern parents to share child care and household responsibilities. My loving dad cooked, cleaned, did the family laundry, handled kids’ activities and virtually every other parenting duty with ease. I was blessed with his steadfast friendship and unconditional love from birth all the way through adulthood. My father, by being so kind, patient and supportive — and spending so much time with me growing up — quickly became my closest friend. And it’s a friendship that remained strong until the day he died. That’s what happens when fathers make time for their kids and put their family first. You both get a best friend for life. I have fond memories of my father taking me and my friends crab fishing when we were kids. And when he’d come home from business trips, I would charge down the stairs at our family home to give him a hug. A four-day trip is an eternity when you’re 8 years old and your dad is a great guy. I couldn’t wait for him to get home so we could hang out and watch the New York Mets game together. Father’s Day is tough for me since my dad died in 2006. I miss him and his friendship dearly. But I take comfort in knowing he was proud to have been instrumental in raising an educated, successful and happy daughter. I truly appreciate all that he did for me growing up. Happy Father’s Day to all the good dads out there. You are more important than you know. 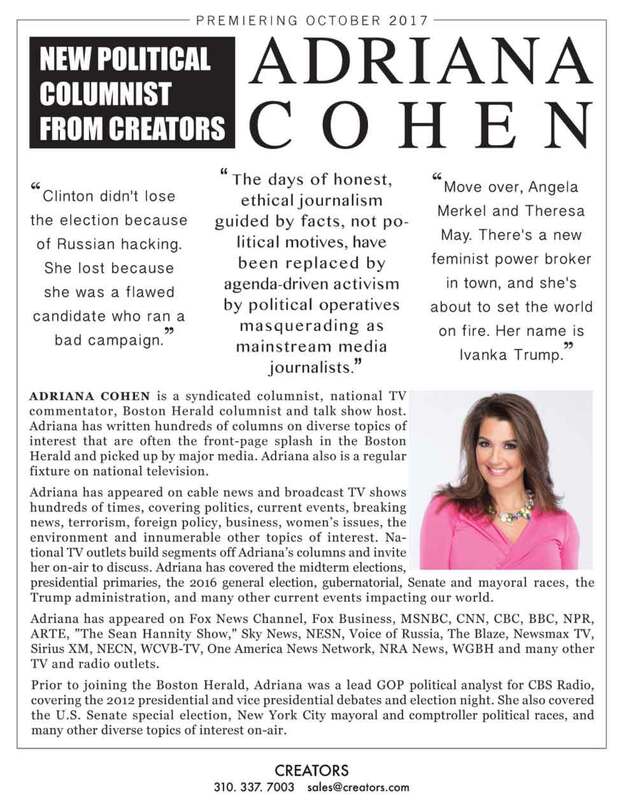 Adriana Cohen is co-host of “Boston Herald Drive” on Herald Radio weekdays from 7 a.m. to 9 a.m. Follow her on Twitter @AdrianaCohen16.